Wedged between a horrifying past and a hopeful future, Sarajevo is a unique gem of a city. As such, there are a ton of reasons to visit Sarajevo. They say time heals all wounds, but they never say how MUCH time it takes. Even 20 years later, Sarajevo cannot escape its perpetual association with the atrocities of the Bosnian War. The country’s violent history has left many lasting scars on the city, and remains an inseparable part of Sarajevo’s reputation. There are plenty of places in Sarajevo where you can experience the pain of its bloody past. You can literally drown yourself in the depths of the suffering experienced by the people living here not even 25 years ago. However, you don’t just have to dwell in the dark. If you look around you will be astonished by how alive and colorful the city can be. Sarajevo is living proof that while your past might influence your future, it does not dictate it. We firmly believe you should visit Sarajevo if you have any interest whatsoever in culture and history. 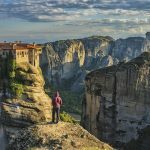 So if you are thinking about excluding Sarajevo from your travel itinerary, here are a few reasons why you should reconsider, and a few things to do while in Sarajevo. Sarajevo has a very long and turbulent history, and you can witness this fact with every step as you take down Ferhadija Street. Walking East to West along this pedestrian street is like experiencing the past unfolding before you. From Baščaršija, the oldest Ottoman part of the city with its small shops and cozy cafés, you pass into the most vibrant quarter built by Hapsburgs in the 19th Century. Impressive sights like a pseudo-Ottoman fountain Sebilj, the former National library in a pseudo-Moorish style Vijećnica are sure to please architecture lovers. The Latin Bridge where Archduke Franz Ferdinand was assassinated in 1914 is of interest to any history buff. 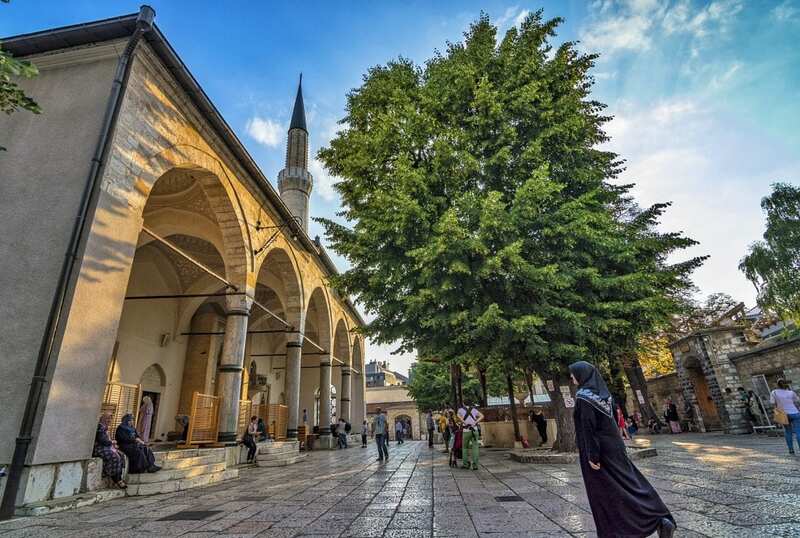 The huge 16th century Gazi Husrev Mosque with its clock tower which sits just next to the Catholic Cathedral or Orthodox Church will give you the idea about the colorful past of Sarajevo, its religious duality, and its people. From there you slowly pass into the biggest, socialist-era part of the city which is typified by fields of high-rising buildings and modern skyscrapers. But don’t be mistaken, even there you can find many hidden jewels while strolling around the University or National and Historical Museums. 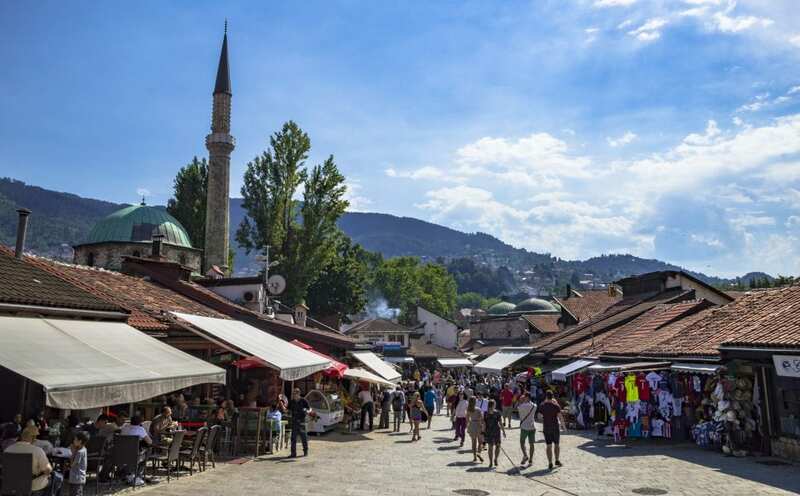 If you are looking for a typical relaxing holiday destination, or are just collecting the capitals in the region, you probably won’t like Sarajevo. 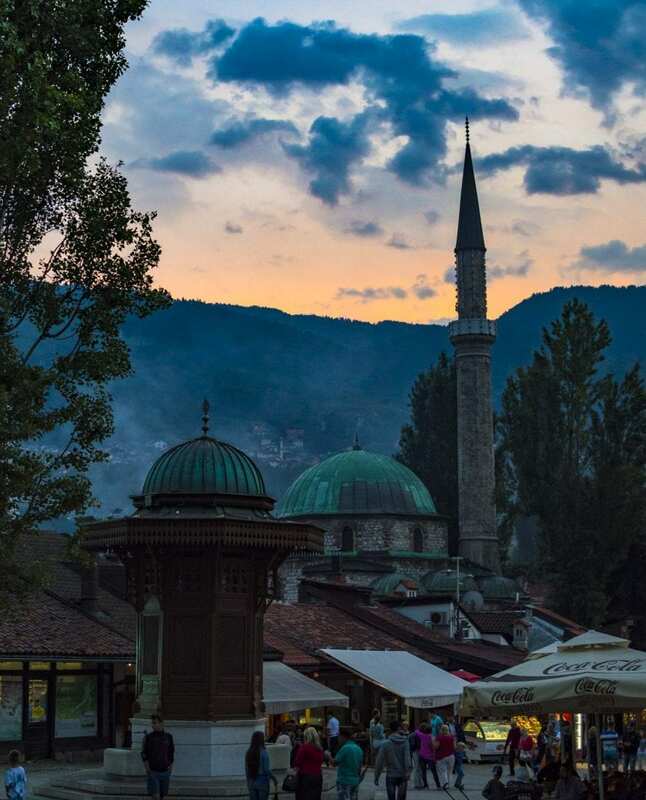 Sarajevo is a paradise for travelers who are not afraid to explore places on their own and discover the stories behind them. Just lose yourself in the tiny streets of the city and you will see what I mean. From a Beef Can monument, to the tragic “Sarajevo Roses” painted onto the sidewalk, to the ugliest building in the city known as Papagajka (a Parrot) and the huge graffiti covered bobsled track left over from the 1984 Winter Olympics, Sarajevo will bring your surreal dreams to life! The city of Sarajevo lays nestled in a pine tree adorned valley. Climbing up to Žuta tabija (Yellow Fortress) and seeing the stunning panorama of the whole city laid out in front of you will surely make you feel that special atmosphere of Sarajevo. 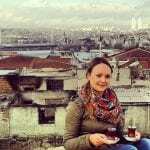 Sitting on the edge of the fortress with the young locals and drinking tea or coffee and watching the sunset over the rooftops, bridges, minarets and white cemeteries of Sarajevo while listening to muezzins calling for prayer is unforgettable. It may sound a little cliched, but trust me, after you experience it once you will go there every evening! 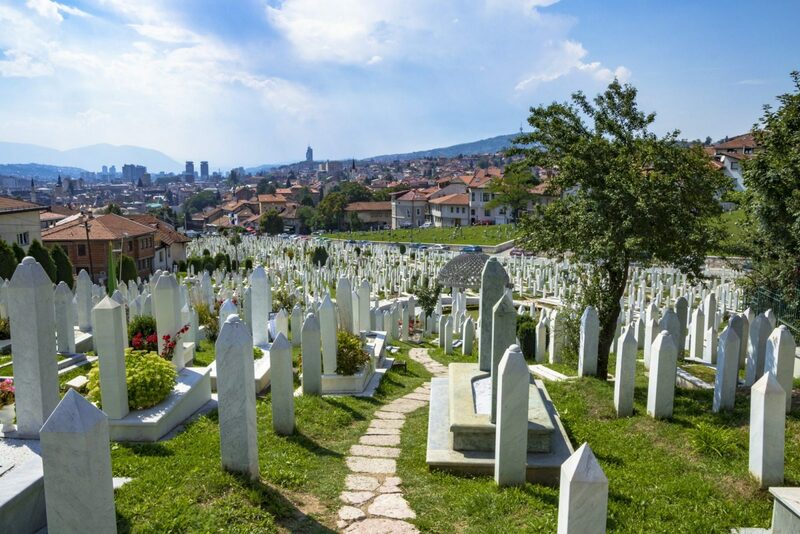 Other great places for enjoying the view are Alifakovac cemetery or Vraca Spomen Park with the forgotten memorial to the World War II victims. On the way, stop at the impressive Jewish cemetery. Is it morbid to enjoy views from a cemetery devoted to the thousands who lost their lives in the recent war? We don;t think so, as long as you make sure to pay your respects and treat the area as sanctified ground. The Balkans are synonymous with great homemade food, and Sarajevo – being in the centre – has the best of everything. If you didn’t try ćevapi with kajmak (grilled minced meat in a bread with onion) in Željo or burek (pastry filled with minced meat, cheese or spinach) in Sač, you didn’t try it at all. Besides these specialties which you can eat at every hour every day (and that cost next-to-nothing) go to Barhana and try more sophisticated dishes such as diverse stews, soups or grilled meats with ajvar (delicious grilled vegetable spread). And on a sleepy foggy morning, there is nothing like a Bosnian coffee and warm pastry from the local bakeries. Are you booking flights yet? If you want to experience a genuine and bustling Bosnian city, I would advise you to visit Sarajevo instead of Mostar. Sarajevo is also a student city so anywhere you go you can bump into educated young locals who are happy to talk with you and practice their English. Shisha or coffee places are perfect for that. Follow the river and get yourself into a less touristic part of the city and a student place called Café Tito. 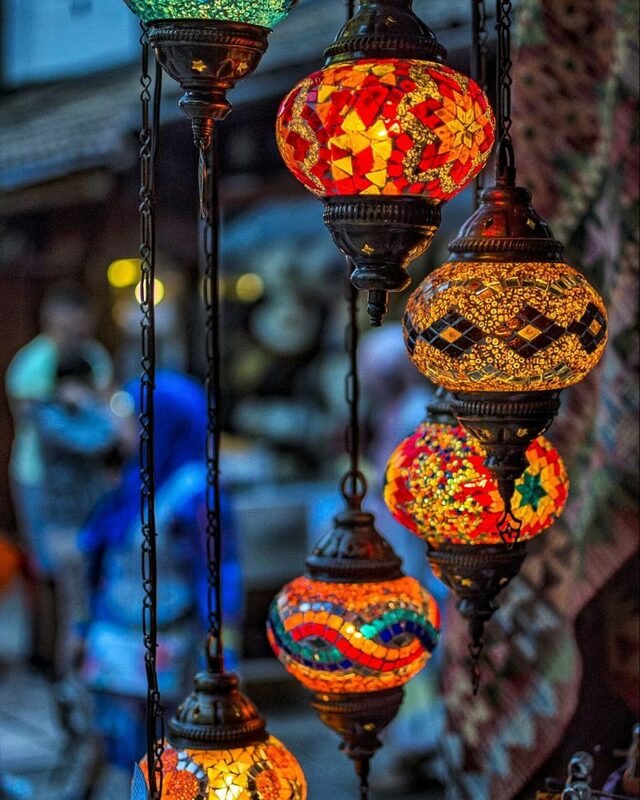 For more oriental experience get lost in an Ottoman caravanserai Morića Han in the middle of the bazaar and enjoy a delicious Turkish tea or coffee together with the traditional sweets. Just remember, even if it looks the same don’t confuse Bosnian coffee with its Turkish version. Locals are very sensitive about it! If you are into beer, make sure you try Sarajevsko beer in the huge brewery pub (Sarajevska pivara) or in any of the crowded bars around the city. I also highly recommend tasting homemade rakija at the cute bar Zlatna Ribica or in the well-known Goran’s hut on the way to Skakavac waterfall. To get a real authentic experience from Sarajevo nightlife head to Kino Bosna on Monday. This smoky bar housed in a former cinema, crowded by young alternative locals, is a must! Sarajevo is simply very different from other cities in Europe. The rush of this culturally diverse center together with very visible scars of the war two decades ago and an omnipresent nostalgia for times gone by creates a very unique atmosphere which is known as “Spirit of Sarajevo”. Sarajevo is filled with an abundance of cost efficient and budget friendly accommodation options. 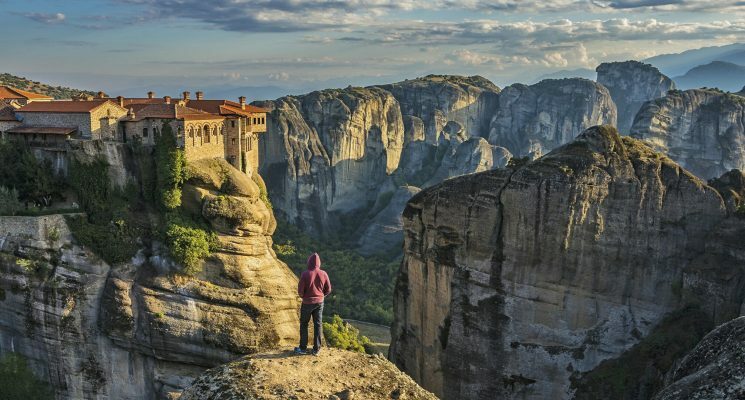 From a few great hostels, to some nice budget hotels, to shoestring budget friendly Airbnb options there is a LOT to pick from. 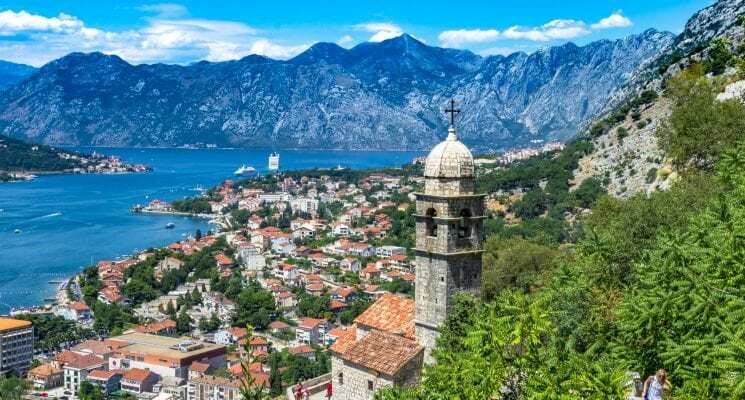 As always we want to make things a little easier for you, so here are a few awesome hostels in Sarajevo, followed by a couple of great budget hotel options and a fantastic Airbnb apartment. Here are three highly rated and centrally located hostels in Sarajevo. You can’t go wrong with any of them. Both of these small hotels are centrally located, intimate, and beautifully decorated. If you’re looking for an apartment to stay in during your time in Sarajevo, we highly recommend the below. This beautiful apartment is just a few steps from the Ferhadija Pedestrian Street and all the main attractions in Sarajevo. Additionally the owner is super friendly and easy to communicate with and the apartment is comfortable and has everything you might need during your stay. Sabina is from the Czech Republic and she is crazy about the Balkans and Turkey. She even studied the Masters called Balkan studies and she spends most of her free time discovering the hidden gems of the region. 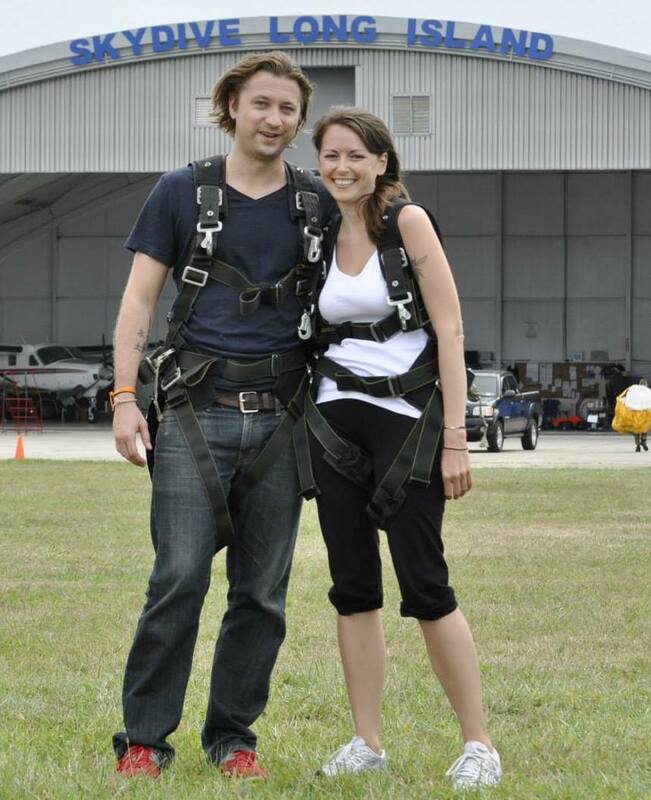 She is also a passionate volunteer and she loves to combine it with traveling the world. In the meantime she dreams to build a tree house and blow bubbles from there.